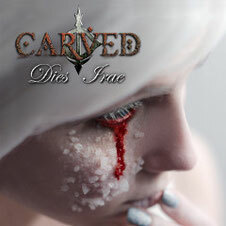 CARVED will release their debut full length album "Dies Irae" through Bakerteam Records on March 26th. Italian six angry metal heads' carving the emotions of their audience with the most violent performance they could possibly deliver is, as a matter of fact, their most notable trait. 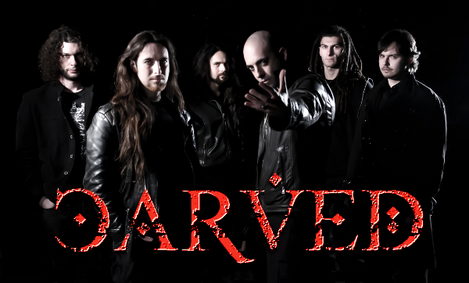 The band made an impact with their three track EP of 2010, which was reviewed enthusiastically by many international extreme metal zines and attracted the interest of legendary black/thrashers Necrodeath who consequently decided to take them on their 25th Anniversary European tour. On the album "Dies Irae", CARVED mixes powerful guitar riffs, massive grooves and brutal vocals with beautiful melodies and refined classical passages. Recorded and mixed in Italy, and mastered at Chartmakers Studio (Rammstein, Volbeat, Apocalyptica) in Finland. Currently the band website is in progress. You can visit their page on facebook. Their album release party will take place at Centro Culturale Dialma Ruggiera on March 29th.